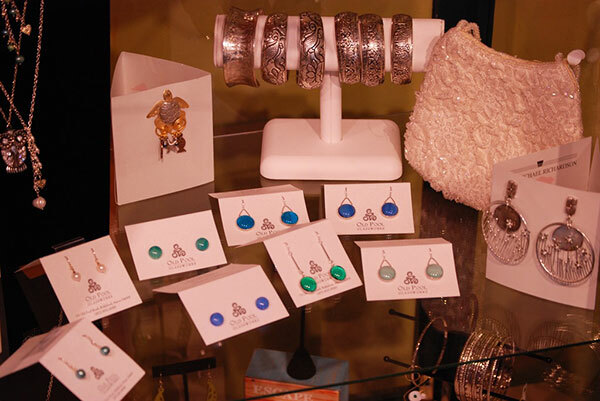 Gifts 4 Soul in Ipswich, MA is a jewelry store offering top quality jewelry made from organic and sustainable raw materials and crafted by trained artisans. 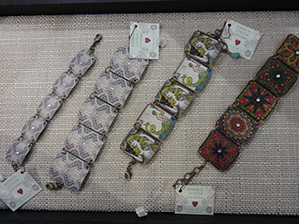 We offer bracelets, necklaces, rings and more all created from various organic materials. These unparalleled pieces are bound to attract attention. 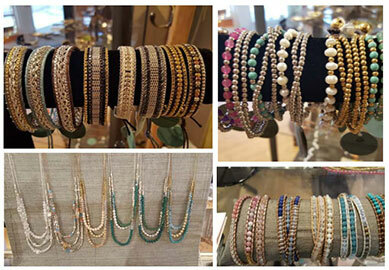 New jewelry by Crossroads! Sparkles, leather, metal, pretty beads and wrap bracelets! 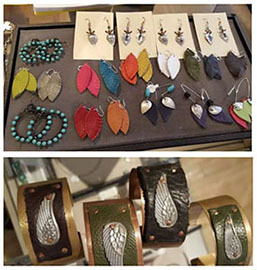 Lisa Scala Jewelry, based out of Georgetown MA, now available here at Gifts 4 Soul! 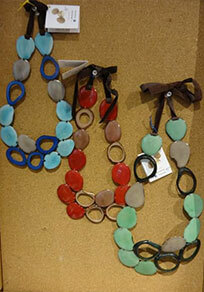 Mujus, made of the Tagua nut found in Peru! Sustainable jewelry! 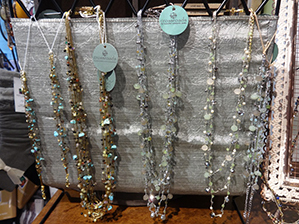 Gorgeous and stunning statement necklaces. First, we’re committed to making beautiful designs that are good for the planet. Mujus works exclusively with high quality, organic and sustainable raw materials in an effort to preserve an increasingly vulnerable environment. Second, Mujus is committed to giving back to communities in Peru and the United States. In Peru, this means paying fair wages, providing health insurance to Mujus artisans, and facilitating social change for impoverished communities around Lima. In the US, this means collaborating with the ALS Association by designing a special collection to raise money for the fight against Lou Gehrig’s disease. The Mujus blend of environmentally conscious materials and intricately sophisticated designs bring a refreshing new take to the modern woman. Our accessories allow our customer to look and feel good, knowing their purchase is supporting many great causes. 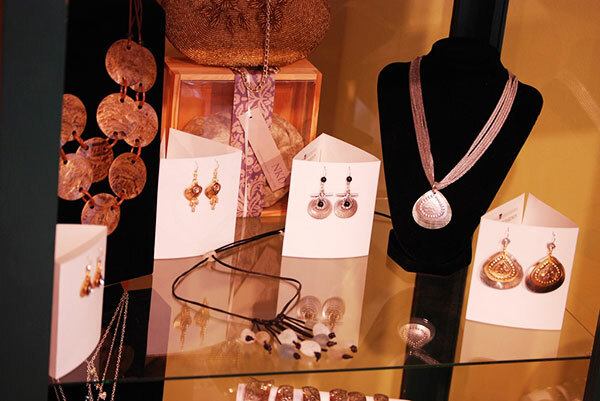 We are proud to carry Crossroads fine handcrafted contemporary jewelry here at Gifts 4 Soul. Mama’s Little Babies, handmade in California. Made of solid brass findings. Images are applied by hand and sealed. 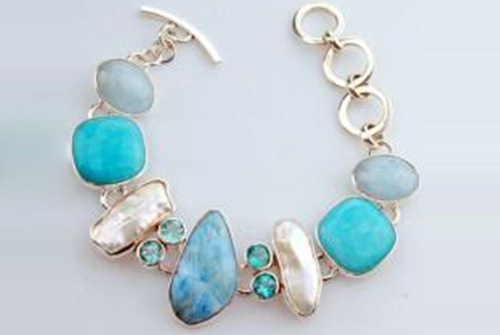 John Michael Richardson, fashion jewelry, blends the cultures of East and west. Metals are hand crafted in Thailand. We use natural elements from bone wood and shell from Cebu. All our jewelry items are finished by hand in the United States. Old Pool Glass works from Biddeford Maine, in 1991 after many years in the advertising/graphic arts industry. Now, almost 20 years later we’re still going strong. To keep things interesting, I am always creating new products and working with new glass. Chris Bales combines the radiance of sterling silver with colorful gems and organic treasures to create exquisite artisan jewelry. Her inspiration comes from her worldly travels, a passion for horses and love of the sea. Each gem is handpicked by Chris, bringing to life playful, radiant, and keepsake limited edition jewelry.